ZO® OSSENTIAL® C-BRIGHT SERUM 10% VITAMIN C is a vitamin C skin serum with ingredients such as ascorbic acid, coenzyme-Q10, and squalane. This potent and stabilized 10% vitamin C serum helps skin affected by dark spots and wrinkles. Doctors such as plastic surgeons and dermatologists may recommend Zo Ossential C Bright Serum to their patients who have aging and sun-damaged skin, with signs such as wrinkles, age spots, and other hyperpigmentation. This vitamin C serum can help exfoliate and prevent pigment formation while helping protect skin from environmental triggers of hyperpigmentation. 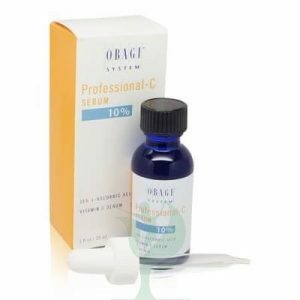 The main ingredient in Zo Ossential C Bright Serum 10% VITAMIN C is ascorbic acid. This vitamin is important for skin health, playing a role in collagen synthesis and acting as an antioxidant. Studies suggest vitamin C has antioxidant properties to help reduce UV damage, reduce skin wrinkling, and exfoliate surface pigmentation for a brighter complexion and more even skin tone. Tocopheryl acetate and coenzyme-Q10 can help provide antioxidant protection to skin, reducing damage from free radicals, and tetrahexyldecyl ascorbate helps prevent new pigment from forming within the skin. 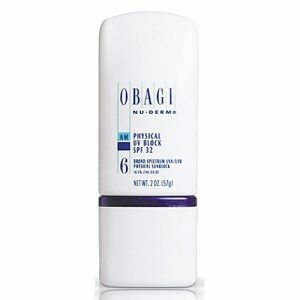 The final major ingredient in this serum, squalane, mimics the body’s natural moisturizer to hydrate the skin. Together, the ingredients in ZO® OSSENTIAL® C-BRIGHT SERUM may help provide antioxidant protection, moisturize skin, and reduce skin pigmentation for brighter and smoother skin.